Volunteering is an excellent way to give back to your community and meet new friends but what you may not know is that it’s also a great opportunity to enhance your CV. Many companies have a strong sense of social responsibility so by showcasing your volunteering work on your CV you’ll be demonstrating a good cultural fit. This could give you an edge over other candidates at the shortlisting stage of the recruitment process meaning that you secure that all important interview. If you’re at the beginning of your career with little or no work experience, volunteer work can act as evidence of your employability. In an increasingly competitive job market, it’s important to highlight your skills and those which best match the job for which you’re applying. Volunteering can provide you with the opportunity to develop skills in communication, coordination, planning, organisation and team work which can then be detailed on your CV. Volunteering can help you to reposition yourself in the job market when making a career change. You may not have the necessary skills and experience to move into a different role or industry as of yet. This is where volunteering can plug the gaps on your CV as you broaden your skillset and work in new areas and environments. 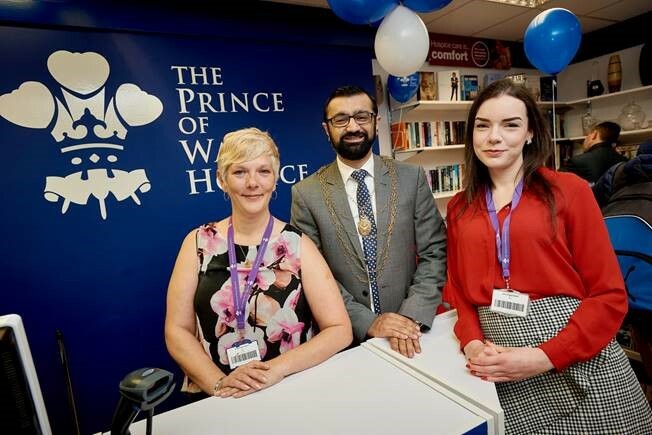 Our chosen charity, The Prince of Wales Hospice, is currently looking for volunteers at their Hospice shop in Doncaster. If you’re looking to enhance your CV and can spare a few hours each week to volunteer, please contact them on 01302 556112 or visit https://www.pwh.org.uk/support-us/other-ways-to-help/about-volunteering for more information.